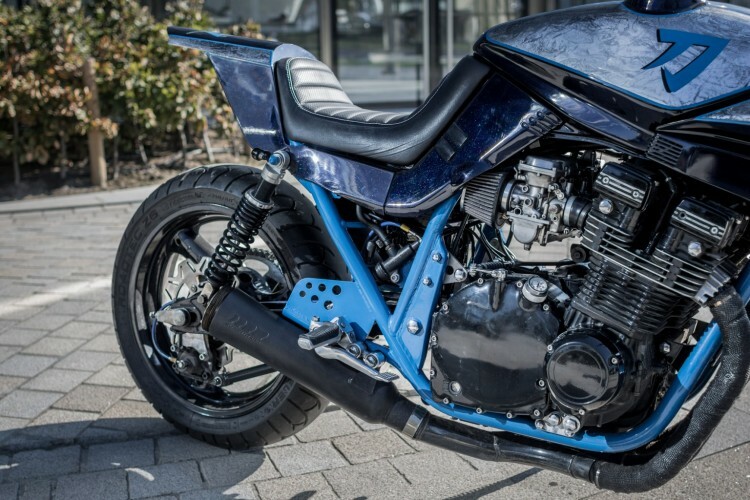 Just like a good leather jacket, or some cognacs, the Suzuki Katana seems to get better with age. 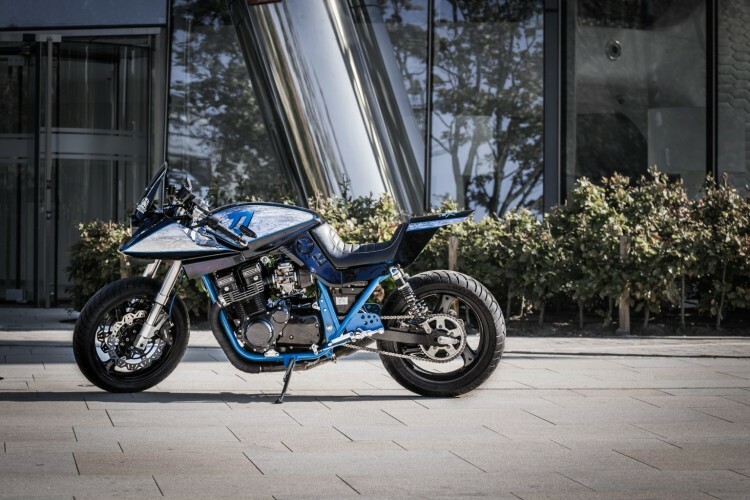 When the first Katana was on the streets in late 1980, the GSX1100S, Suzuki claimed it to be the fastest mass-production bike in the world. 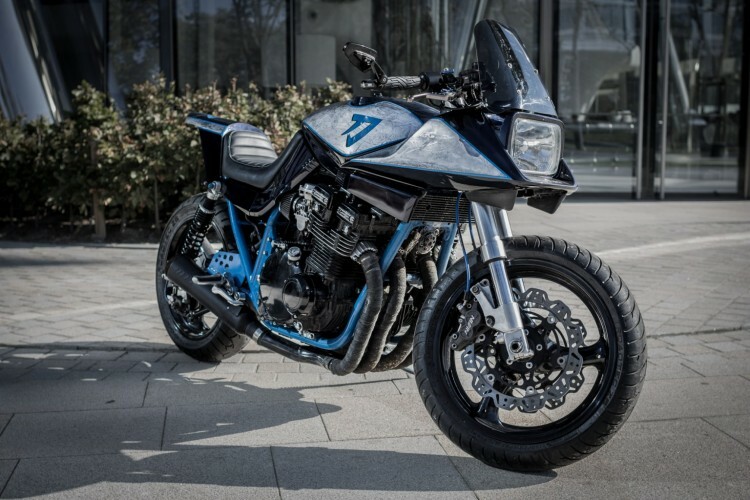 Although the original Katana models never were the big sales hit Suzuki aimed for, the bike served as an inspiration for almost the entire lineup of Suzuki in the 80s. 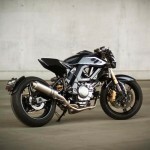 But when the bike was introduced, it was clear that the design by the German Target Design was way ahead of its time. And this was also the verdict of large motorcycle magazines: “the design would not appeal the masses”. 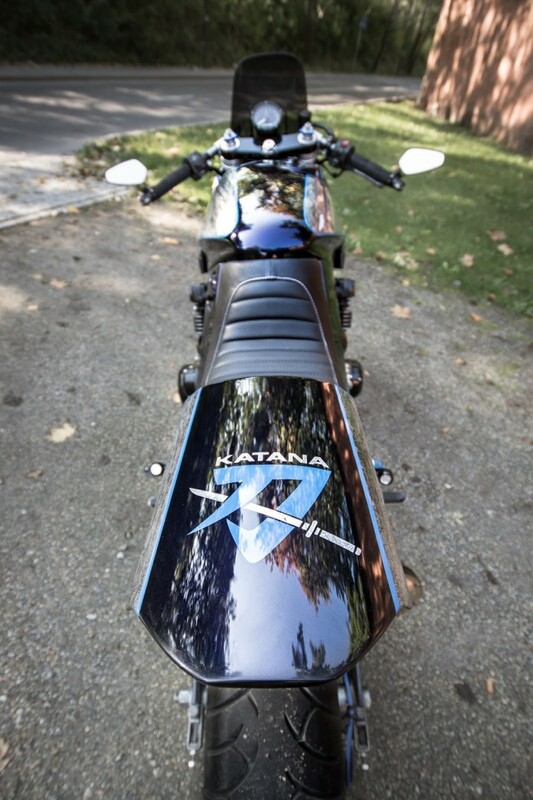 But now, more than 35 years later, the Katana is heading towards a true cult icon and we see them more and more in the custom bike scenes. Often, with a part of its original design in place. 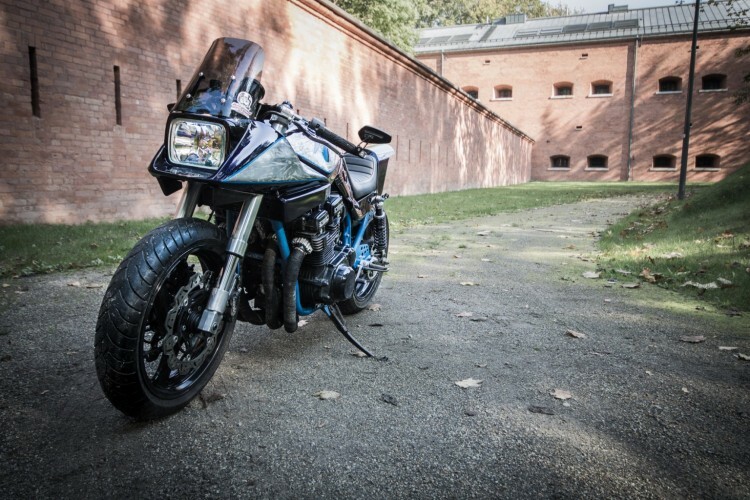 The Suzuki Katana Custom you see right here is built by Bartlomiej Maniecki from Caferacergarage.eu based in Poland. It’s based on a 1982 750 model. 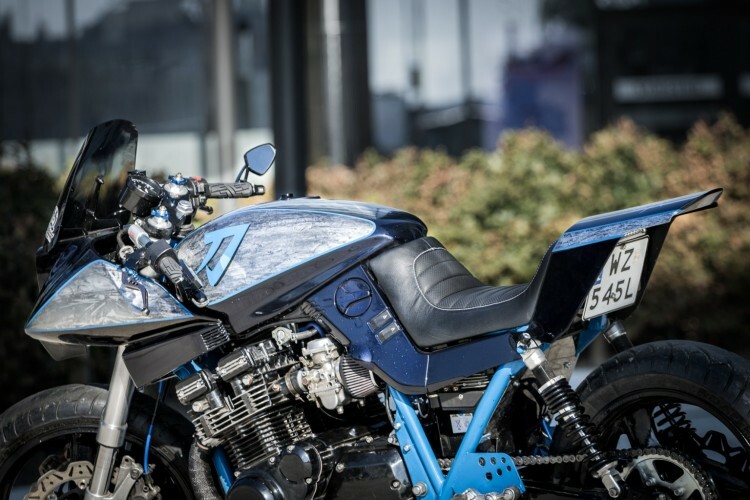 I love to see that this bike retains the original, sharp-edged design of the original model, together with a pretty good mix of upgrades to give it a unique touch. The idea was to get back to the original Katana 1100 as much as possible, but with some modern day upgrades. 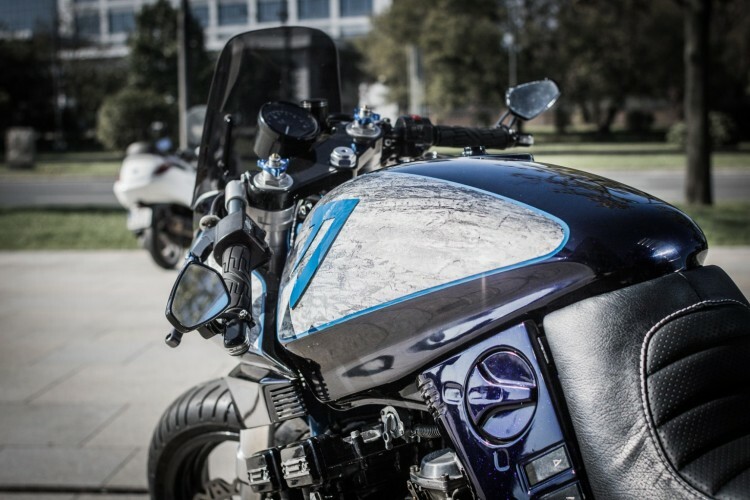 The most appealing part of the design, the sharp half-fairing and the edged gas tank where kept in place. The seat and rear end are completely built from scratch and are shaped out of aluminum with a comfortable leather/synthetic seat. It got a much sharper design, which matches perfectly with the rest of the design. The paint job also is really tasteful and non-standard. Maniecki gave the painter a firm task: we want something “metallic” and special. 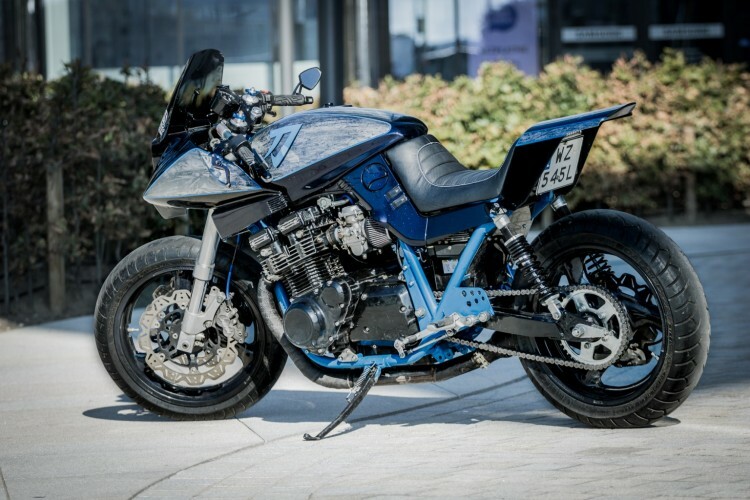 So the frame was totally painted – which always is a bit tricky – in violet-blue which perfectly matches the dark and metal colors on the rest of the bike. It also got some overall improvements. 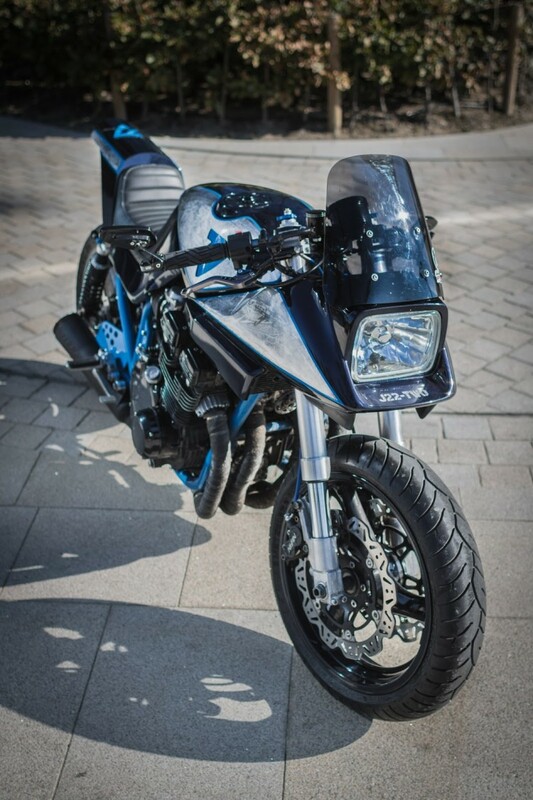 The front suspension and braking system comes from a 1992 GSX-R750. He picked this particular forks since these where the longest USD’s available on a GSX. He wanted to stick as close to the original stance of the bike, so this was their only option when not making the fork swap too complex. It only needed other bearings and a relocation of the lower yoke mounting screws to keep the fairing in place. The fairing needed some minor adjustment since the new fork is a little bit wider. 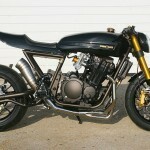 The rear swing-arm is modified to fit a Bandit 600 wheel with the original brake caliper and a GS500 hub and sprocket. Of course, it got a fresh set of progressive shocks. He also went for a 530 chain and sprocket conversion. Maniecki: “I didn’t want to go for 180 rear tire like many builders do, as I believe it would make it handle worse. Now it’s a real pleasure to ride. 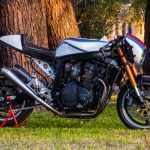 I find myself taking corners more aggressively and confident on this 35-year-old bike than I’m on my ZRX1200R…”. For a little more punch in the sound, he mounted a Supertrapp exhaust. This meant that the carburation also needed work. Together with a set of K&N filters (and a headache while rejetting the carburetors), the bike got some more air and fuel to digest. The bike is totally keyless: ignition can be initiated by RFID and the gas cap… well, it’s just a gas cap without a keyhole. 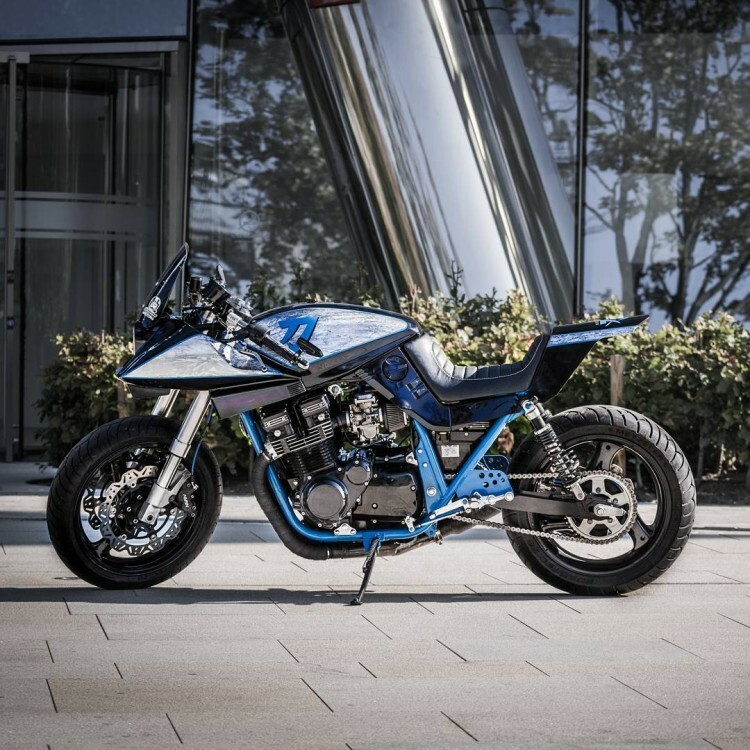 All and all I can see that this Suzuki Katana Custom is a really cool tribute to the original bike.